Fourth Wave Wine can now be found outside of Australia. If your country is not listed, keep checking as we are constantly seeking new markets. Available Brands: Altacena, Bertaine, Burns & Fuller, Elefante, Hogshead, Les Trois, Mandoleto, Mascareri, Parnasse, Primrose Path, Take It To The Grave and Woods Crampton. Available Brands: Bertaine, Bleeding Heart, Calo, Elefante, Food Truck, Hogshead, Hootenanny, Le Chat Noir, Madame Coco, Mandoleto, Maretti, Marques de Tezona, Mandoleto, Mascareri, Maretti, No Evil, Parnasse, Ricatto, Taglia, Take It To The Grave and Woods Crampton. Available Brands: Le Chat Noir, La Vendetta and Woods Crampton. Bertaine, Le Chat Noir and Mandoleto. Available Brands: Altacena, Barnsworth, Bleeding Heart, California Dreamin', Calo, Elefante, Hogshead, La Vendetta, La Vita, Le Chat Noir, Les Courtilles, Mandoleto, Marques De Tezona, Parnasse, Rey Del Mundo Take It To The Grave and Woods Crampton. Le Chat Noir, Madame Coco and Parnasse. 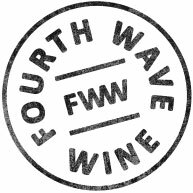 To purchase Fourth Wave Wine in any of the above countries, or to become an international stockist please contact us below and a team member will be in touch shortly.